Would you believe it? 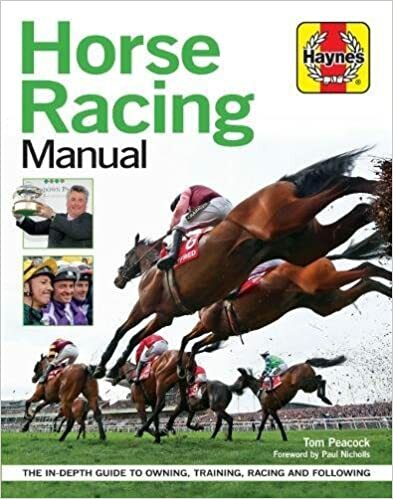 There’s a Haynes Guide to Horse Racing.. Horse racing is the second-most attended sport in the United Kingdom behind football, with over 6 million visitors each year. While it has a core support of those who go many times through the calendar, a far higher percentage will probably attend only once or twice and can often find the experience overwhelming. The Horse Racing Manual guides the reader through a first day at the races, explaining all the elements and considerations, from what to wear to placing a bet. Unlike other books on the market, it takes the reader further and goes `behind the scenes’, providing explanations into the physiology of the horse and where it comes from, the processes and people involved in leading it to become a racehorse, the breeders, farriers, owners, trainers and jockeys.It would also cover placing a bet and the best ways of finding a winner, the rules of racing, the different types of races and racecourses around the world. The manual would centre upon the UK but, subtle differences aside, would broadly translate for racing in other countries worldwide – including the USA, Australia, France, India, Ireland. « Normal service has been resumed! | PSG to win..
Normal service has been resumed! | PSG to win..